You must appoint at least one Executor. Our software will not allow you to complete your Will without doing so. Your Executors are the people who you appoint to carry out the wishes of your Will. An Executor can be a beneficiary of your Will - indeed we recommend that you appoint the main beneficiary(s) of your Will as your Executor(s). The duties of an Executor do not need to be difficult. Although there are quite a few legal processes to follow when executing a Will (i.e. after you have died) your Executor(s) can delegate these to an expert: - a clause permitting your Executor(s) to employ (and pay from your estate) a Solicitor to to help them is included in every Will produced by our software. We advise you to appoint two Executors if the Will contains a gift to children, some of whom may be under the age of 18 when you die. You should also appoint at least one Substitute Executor in case one or more of the named Executors is, for any reason, unable to act. Do you trust them and are they over 18? Are they a major beneficiary or do they know most of the major beneficiaries personally? Have you checked with them that they are willing to act as your Executor? Have you appointed at least 2 Executors or at least one substitute Executor? 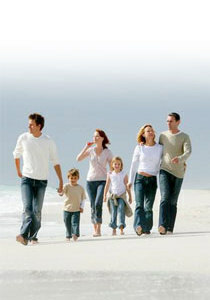 A Will made at tenminutewill.co.uk offers you the option of appointing one or more Guardians. If you leave a child or children under the age of 18 and there is nobody with parental responsibility to look after them, then unless you have appointed Guardians nobody will be able to look after them without going through the Courts. We therefore strongly advise you, if you have children under 18, to appoint Guardians in your Will. You should think very carefully about who you are going to appoint :- In effect they will be the new parents - will they be up to the task? Will the children need to be up-rooted? Do you trust them to properly use any money they will receive from your estate? Have you asked them if they are willing to act? What if they are suddenly unable to act - have you appointed substitutes and asked the same questions about them? The Guardians you appoint can also be the Executors of your Will, and in a lot of cases it makes sense to appoint the same people, but again you should imagine the position they will be in and ask yourself if there would be any problems with the same person or set of people carrying out these two tasks. Finally, we advise you to check exactly who has parental responsibility for your child(ren). If you are happily married and are both the natural parents (named on the birth certificate(s)) of your child(ren) then the answer is simple :- both of you. However, if this is not the case then we advise you to check the latest so far as the Law is concerned. A quick search of 'parental responsibility' on www.google.co.uk will throw up all of the information that you require. As with anything, though, if you are not 100% sure on this issue then we advise you to consult a Solicitor to ensure that you fully understand your position.